J.E. (Jayne) Barnard is a Calgary-based crime writer with 25 years of award-winning short fiction and children’s literature behind her. 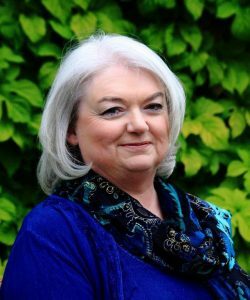 Author of the popular Maddie Hatter Adventures (Tyche Books), and now The Falls Mysteries (Dundurn Press), she’s won the Dundurn Unhanged Arthur, the Bony Pete, and the Saskatchewan Writers Guild Award. Her works were shortlisted for the Prix Aurora (twice), the UK Debut Dagger, the Alberta Book Publishing Award (twice), and three Great Canadian Story prizes. Jayne is a past VP of Crime Writers of Canada, a founder of Calgary Crime Writers, and a Sister-In-Crime. 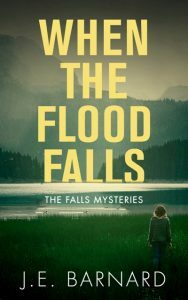 Her most recent book is When the Flood Falls, a small-town psychological thriller set in the Alberta foothills west of Calgary. This is a recent conversation between Lucas K. Law and Jayne Barnard. 1)	How do you juggle between your two series—The Fall Mysteries (Dundurn) and Maddie Hatter (Tyche Books)—that are distinctively different: one a contemporary mystery, the other a steampunk adventure? How do you maintain your voice and style for each series? I don’t find it challenging to switch gears as long as I can alternate in sufficiently large blocks of time. These are very different series – one deals with grim contemporary women’s issues like spousal violence, sexual abuse, and career setbacks, while the other features a heroine who is not plagued by money worries and whose adventures are outrageous romps in an alternate universe. If they were television shows, one would be more like Shetland and the other would be Scooby Doo. Generally I do a loose outline of a book over a month or so, cementing the characters’ main goals and concerns as well as looking up, for example, the kinds of foods they’ll be eating and whether those are what they’re accustomed to or not. Once I’ve cleared off the non-writing tasks that pile up between books, and am ready to start writing, I read the first page or two of the outline. The characters’ voices and preoccupations settle into place. If I had to work on manuscripts in both series on the same day or week, I might have more trouble keeping them apart. 2)	What did you learn from writing a series? To take careful notes about secondary characters’ physical and psychological states as well as any history I’ve given them, and make a point of checking the notes against subsequent manuscripts. In one book we changed a character’s name not long before publication. The second book was already in the works and the character, who did not appear in person, was mentioned several times by his old name before being twice more mentioned by his new name. Three sets of editing/proofing eyes apart from mine all accepted him as they’d first known him. The error was caught by a sharp-eyed reader after the first print run was out. 3)	Do you work on several projects at any one time? When do you find the time to write short fiction? Which form—short or long—do you find most challenging? I’ve been known to scribble half a short story on pages that were supposed to be dedicated to character backgrounds for a book. My wayward story-brain is attracted to the new and shiny, and has to be dragged back to work on the longer project. I’ve learned over the past few years to be ruthless with myself, to make quick notes about a story’s possibilities and then shut it down. If I let the new story take root in my brain I’ll work on it to the exclusion of any other story for a week – or a month – and then get behind on my book deadlines. 4)	With having to deliver several books under contract in the next few years (and in addition to dealing with author appearances, promotions, and marketing), how do you keep a balance in your life? What do you for fun? Balance? What’s that? When I’m writing I do very little promotion. That’s my winter. When I’m promoting, teaching, or going to festivals, I do very little writing. That’s summer. My research and character sketches for the next projects fit in chunks between waiting for bookstores to get back to me about appearances and writing outlines for classes or talks. Fortunately I find most of those activities quite enjoyable, as there’s not a lot of energy left over for unrelated fun. I have a chronic health condition that has to be managed daily in order to keep writing at all. I’m rather looking forward to being down to only one book a year after next year, and that’s when I’ll be able to do more non-writing fun. 5)	How much research do you do for each book? I never know how to quantify research: by the hour? By the subject? By the number of browser tabs open? For the Falls Mysteries, the most vital parts of my research are not causes of death or wounds but the jobs my characters do, and how those jobs have shaped their thinking and their instinctive ways of responding to situations. 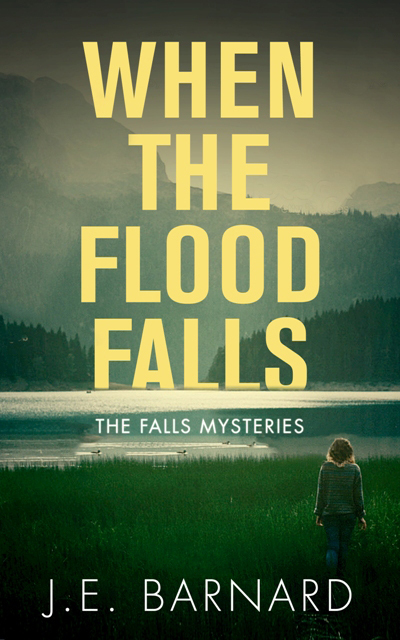 Lacey McCrae, the lead investigator in When the Flood Falls, has PTSD from her years with the RCMP, so her response to any situation must take into account both her psychological trauma and her reflexive running toward trouble instead of away from it. I spent quite a bit of time with police officers, hearing their stories of work and home, to get more fully into her head. And I frequently second-guess myself when she’s confronting a situation: is that how she would respond, or is my own gut reaction interfering? By the third book, which I’m outlining now, Lacey has been off the Force a while, and her old reflexes have dulled a bit. She no longer goes into every situation assessing for danger points and doesn’t automatically count the ways a house is vulnerable to break-in by the time she’s walked up the front sidewalk. But she’s still aware of those elements, and still analyzes every group she’s with for tensions, even on what should be purely social occasions. What kind of sleuth would she be if she didn’t notice nuances of behaviour and fleeting facial expressions? 6)	Tell us a little about Maddie Hatter and the Singapore Sting. What is Maddie Hatter up to this time? When is the book coming out? That’s a loaded question, and I’m going to take the long way around to answer it. Although all the Maddie books are adventurous romps, as the series went on, they touched matters of deeper social relevance about their times and places. In ‘Deadly Diamond’ Maddie only noticed in passing that new British buildings made of dressed stone were towering over the lower, plaster-and-wood buildings of Cairo, a visual symbol of the looming Imperial presence. 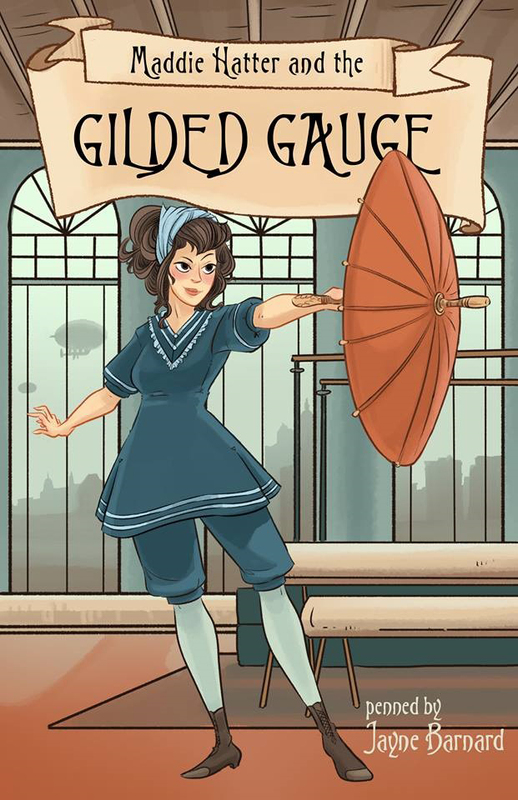 In ‘Gilded Gauge’ set in New York City, she discovered that one of the Western world’s richest cities left twenty- to thirty-thousand orphaned and destitute children to sleep on the streets, vulnerable to all manner of predators. In ‘Timely Taffeta,’ she learned that old wars cast long shadows when hundred-year-old enmity between French and Italians put her friends in peril. Next, in ‘Singapore Sting’ Maddie’s on the far side of the world, confronted by the inescapable fact that British trade is being spread and maintained by the gunships of the British Navy. She’s juggling her fashion assignment and a human smuggling investigation when a new friend is kidnapped, possibly by an old enemy. Try addressing all those issues while keeping the tale light and adventurous. As you might imagine, dealing with characters from several Asian countries means exponential amounts of cultural and historical research, followed by sensitivity edits, consultations, and rewrites. And those don’t always work out the way you hope. I’d intended that Sting would show Maddie becoming fully aware of the British colonial privilege that has followed her everywhere, and that she would, along the way, demonstrate to readers–Maddie’s fans are mostly young North American women – that in unfamiliar cultures, polite inquiry about cultural differences will get you further with less offense than reacting with fear and judgment to anything ‘different’. I’ve just learned, though, that the publisher has decided to kill this long-delayed book. Until Maddie finds a new home at a new publisher, only I and a few of her most dedicated supporters will know how she juggles her two assignments, her friend’s kidnapping, and her socio-cultural awakening. 7)	Cairo, New York, Venice, Singapore, what next? Have you been to those places? Are there any reasons for choosing those locales for your Maddie Hatter series? Cairo, and Shepheard’s Hotel Anglaise in particular, was my homage to the exuberant historical mysteries of Elizabeth Peters, starting with ‘Crocodile on the Sandbank’. The Cornish manor scenes were lifted straight from my time on those desolate moors feeding my Daphne du Maurier obsession. New York’s Gilded Age, and in particular the novels by Edith Wharton, were my inspiration for ‘Maddie Hatter and the Gilded Gauge’ and my chance to address the ways in which social hierarchies in the New World differed from those of England. Venice, well…. After years of studying Renaissance Theatre, I’m enamoured of Italian plays, and Venice is like a giant stage set for their performance. The story of Pinocchio was the first operetta I ever attended, put on by an Italian troupe touring Germany when I lived there as a child. Tokyo, Hong Kong, and Singapore have been in my mind as potential settings since my daughter was working on educational software development there ten years ago; the climate zones, architecture, and other cultural variations across what too many North Americans think of as simply ‘Asia’ were too rich a vein to be left untapped.. The final book will, eventually (I hope), be back in the British Isles, where my family is from and my relatives still live. I won’t have time to go back and visit all the places there that will backdrop scenes in the book,, but I can count on friends and relations to send me photos of likely settings. 8)	What books are on your shelf, waiting for you to read? Do you read more mystery or more SF&F? I don’t have a shelf; I have massive teetering stacks all over my house, as well as many boxes of books in the garage rafters. Books by friends, books for book clubs, books for review, books for fun, books for talks I’ll be giving or articles I’ll be writing. My one rule is that I don’t read the same genre I’m writing while I’m writing it. So I don’t read mysteries while I’m writing one, and I don’t read Steampunk while I’m writing it. Anything else is fair game. If it holds my attention I’ll read it. That said, my three most significant reads this year have been literary, not genre fiction. Maybe not coincidentally (as I started a Master’s in Cultural Studies a while back) these books have in common insights into Canada’s Indigenous peoples: The Marrow Thieves by Cherie Dimaline, The Break by Katherena Vermette, and In Case I Go by Angie Abdou. If you haven’t guessed from my long-winded discussion of the Maddie books’ embedded social issues, societies and cultural intersections are an ongoing arena of exploration for me. 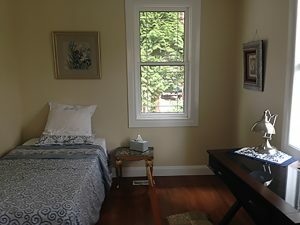 9)	Your bio mentioned your place on Vancouver Island. Where is this lovely spot and how often do you spend time there? 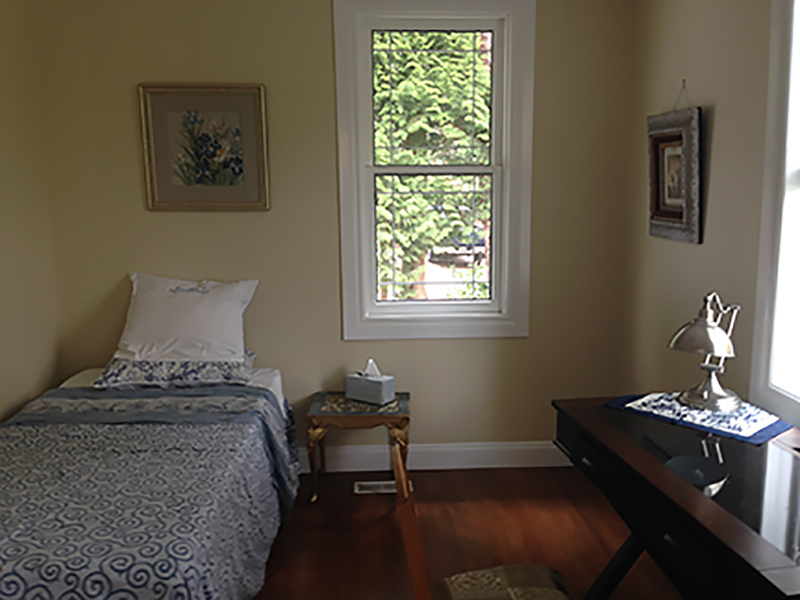 Is this your writer’s retreat? I escape Calgary winters for Comox, BC each year, and more detail than that I will not give lest people want to come visit me in that green and generally pleasant land. There I cut my social and promotional activities to the bare bones except for ten days or so at year-end. My work-spaces stay untouched from one writing session to the next, with every scribbled note or aide-memoire exactly where I left it. Often I won’t speak to another soul in person for a week or ten days. Nothing disturbs my story-brain while it sifts through all the intersecting emotions within and between my characters. They become more real than my family for weeks on end. My main indulgence is that I take my afternoon coffee to the beach a few times a week and let the spray off the waves blow the cobwebs away. 10)	Any upcoming event? What’s next (Or should it be “what are next”)? 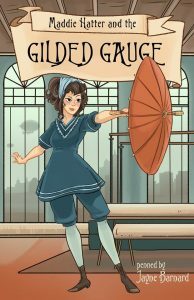 > Waiting on the announcements for the Prix Aurora and the Alberta Books Publishing Awards, for both of which Gilded Gauge is a contender. > Holding a belated launch party for When the Flood Falls (on Thursday, September 13th at Owls Nest Books in Calgary). > In October, apart from a couple of bookstore signing sessions, I’ll be sharing a panel discussion and one-day workshop in Edmonton with two other Alberta crime writers, E.C. Bell and S.G. Wong, sponsored by the Canadian Authors Association. Right after that I’m leaving for my island retreat, hopefully before winter makes its presence deeply felt. When I return, it will be with one or two more manuscripts in hand, and heading into another summer of launching my books, hoping they’ll find their ways into the hands of readers who will love them.